When I was planning our Mother's Day Brunch a fruit bowl and dip was the perfect fruit option. The fruit bowl is easy, eye catching and delicious. When served with a Sweet Lemon Yogurt Dip and a Raspberry Lemon Prosecco Cocktail you have the makings of a perfect brunch. e3Studios is also having a blogger special so you can ALL beautify your blogs!! What a fabulous opportunity to take your blog to the next level. 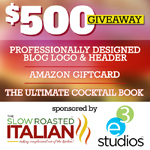 Who isn't looking for the perfect way to brand their blog? Be sure to mention TSRI when you contact them for 45% off!!! Prices good through the end of May. They are booking up fast, so contact them soon. In a medium bowl combine fruit and squeeze lemon on top, the lemon will add another dimension to the flavor. Toss gently to mix. Place fruit mixture back into hollowed out honey dew melon half. Serve at room temperature or chilled along side Sweet Lemon Yogurt Dip. 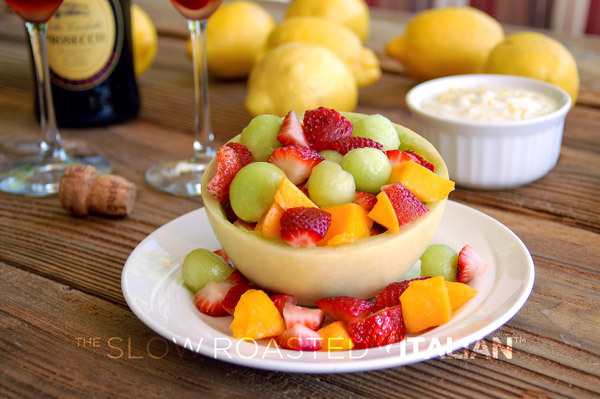 You know I love simple fruit dishes like this one. I love the look of the honeydew bowl too! Have a wonderful day, my sweet friend. This would be good for Mother's Day! Light and easy so you have time to spend with the family.